Hi, Melissa. I have been following you for over a year. As I am getting older, some exercises are becoming painful. Had to stop for now. Thank you so much for your question. While I haven’t created anything specifically for seniors, we do have a few videos that work well for seniors that may interest you. 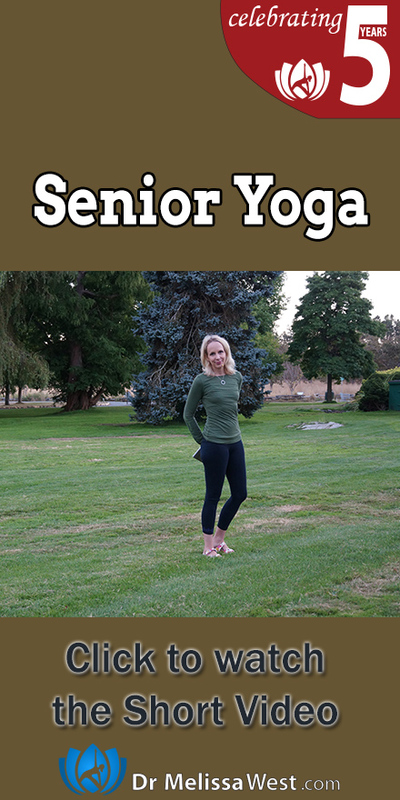 Namaste Yoga 209 was a free class that we did on age acceptance that looks at balancing the vata dosha which one enters into from 75-100 years of age. And our Fibromyalgia video is a gentle video done in 3 segments one part lying down, one part in a chair and one part visualization. These are all available in my shop for $10-$15. On our membership site we have these videos plus a menopause series. The osteoporosis class and the postmenopause class address issues specific to seniors as well as the meditation series, which is great for keeping your mind sharp. Amanda did a fabulous Yoga Chi Gung warm up for joints in her Take 5 section too.